I really like all these photos! Edits are really well done and I can see how much the couple loves one another! aww just love this Breckenridge engagement session! they are so stinking cute and sweet. Just love the story of how they met, too. beautiful photos, taylor! Aww they look so happy! You captured their love so well. And dang Breckenridge is pretty. What a beautiful couple. They look so in love and happy in each other’s arms. Love it when couples do sessions in the mountains too! Always makes for such stunning photos!! We love the mini interview that you integrated into the post! Great engagement photo shoot, that ring is goals! 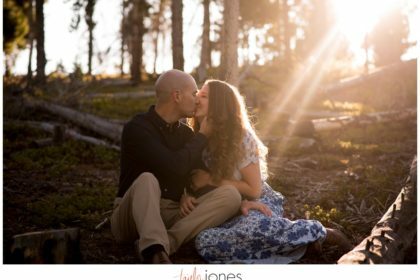 such a beautiful breckenridge engagement session! loved reading about them, too! That very first ring shot is just perfection! I love it. And I love the question and answer style post, lets you get their perspective well. These are such great photos!! I love that you’ve added their story! What a fantastic engagement session! It definitely makes us want to add CO to our list of Vacations for next year. Breckenridge is simply stunning! They’re such a cute couple together and you did such a beautiful job on their engagement session. Love it! What a beautiful engagement session! I love the story of how they met! And come on, a pizookie on a first date!?? How perfect is that! I suggest a wedding cake made of pizookies! Congratulations to them both! Wow! This is a gorgeous Breckenridge engagement! Very dreamy landscape and the couple looks so happy! Great photos and what a beautiful location to have them done. I love her ring!! Oh my goodness, I love this Breckenridge Colorado Engagement Shoot! Their love story is incredible and so heart warming! Breckinridge is so beautiful! Lovely engagement session! Congratulations to them both! oh my gosh! The light, the location…. the couple.. everything! I love this! Awe…love this location and these two are just adorable! Love this! Awww these are so much fun! What a sweet couple. Love the mountains and fall colors too! I was there not to long ago. Ahhh this session is adorable! How cute are they!? Beautiful couple, gorgeous light and locations. LOVE! It’s so great to have a connection like that immediately with your clients! And how fun will that be, to get to shoot where you were married! Such a beautiful engagement session. I love Breckenridge! This couple is super cute & you definitely captured their personalities. Love your style and the playfulness of his cute couple! Great job!